Following mountain biking’s evolutionary path, Shimano DEORE XT M8000 delivers 11-speed features, providing for premium performance. The new XT range elevates enduro and cross country riders’ performance on demanding trails or race circuits, as the development of the XT M8000 range filters mechanisms from the top of the range XTR level components. 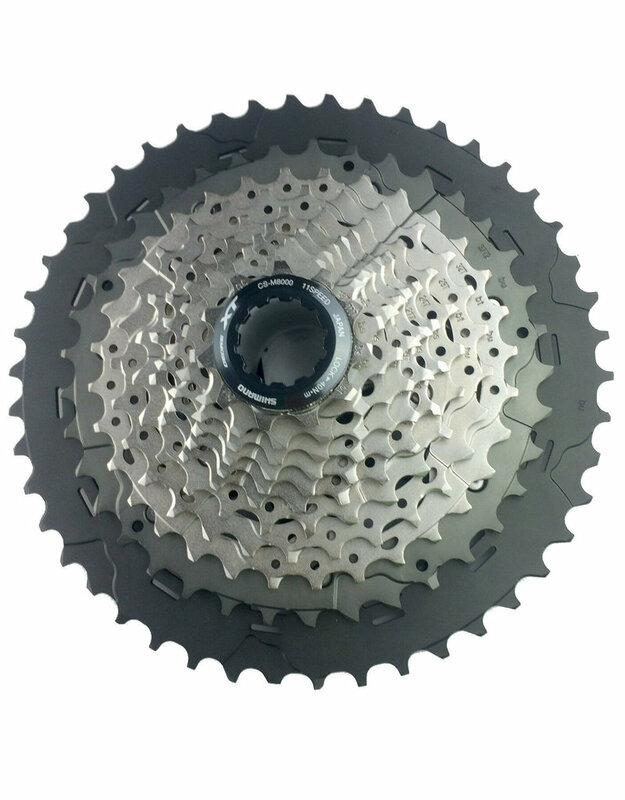 Shimano XT M8000 11 Speed 11-46t is light and durable with ’Hyperglide’ tooth configuration for smooth shifting - even under load. Designed to satisfy any type of rider ability level or terrain.